Cinco de Mayo is a joyful celebration that sweeps the Southland every year, but it’s also a time when many people drive under the influence in Los Angeles. 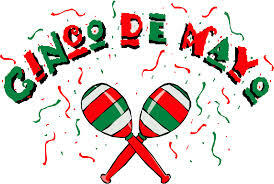 The holiday is over 150 years old — it was kicked off in 1862, after Mexicans defeated the French in a pivotal skirmish called the Battle of Puebla. But police are still trying to understand the dynamics of “celebratory DUIs” during Cinco de Mayo and other major holidays, including Labor Day weekend, Memorial Day weekend, Thanksgiving, Christmas Eve, Super Bowl Sunday, and Valentine’s Day. The LA Weekly reports that officers set up diverse patrols throughout the Southland for the holiday. On Friday night, for instance, the Los Angeles Police Department set up checkpoints on Western Avenue and 8th Street. They also set up checkpoints in Koreatown from 8 PM until 2 in the morning, as well as checkpoints in East Hollywood at Vermont and Melrose. Other Friday checkpoints included a 7 PM to 1 AM patrol at Huntington Drive and Popular Avenue in El Sereno and a South Los Angeles checkpoint at Avalon and Manchester Avenue. LAPD ran another checkpoint in Lancaster from 6 PM to 2 AM on Friday. On Saturday, the LAPD set up checkpoints in North Hollywood (Laurel Canyon and Oxnard Street) and the Universal City area at Broadlawn Drive and Cahuenga Boulevard – both ran from 8 PM to 2 AM. On Sunday, a Sheriff’s checkpoint ran in Norwalk from 6 to midnight. And all those were just the checkpoints designed for the “lead up” to the holiday! On Monday, the actual holiday, the LAPD set up saturation patrols designed to “scoop up” DUI drivers driving in Downtown from 12 PM to 8 PM. The Southwest division ran patrols from 5 PM to 1 AM in an area near University of Southern California. In Hollywood, police conducted saturation patrols from 5 PM to 1 AM and double patrols from 7 PM to 3 AM, and they also ran saturation patrols also around Pasadena from 5 PM to midnight. If you or someone you love acted in an “estúpido” fashion on Cinco de Mayo, you may be wondering what you can do to protect your rights, your license, your future, and your freedom. For a thorough, grounded and strategic consultation about your potential defense strategies, call a Los Angeles DUI attorney with the Kraut Law Group today to get the insights you need. Mr. Kraut is a former prosecutor (a senior level deputy district attorney), and he maintains great relationships with judges, police officers, prosecutors and other members of the Los Angeles DUI community.